I’m an Episcopal priest, blogger, syndicated columnist, author, and rector of the Episcopal Parish of St. John the Evangelist in Hingham, Massachusetts on Boston’s South Shore. 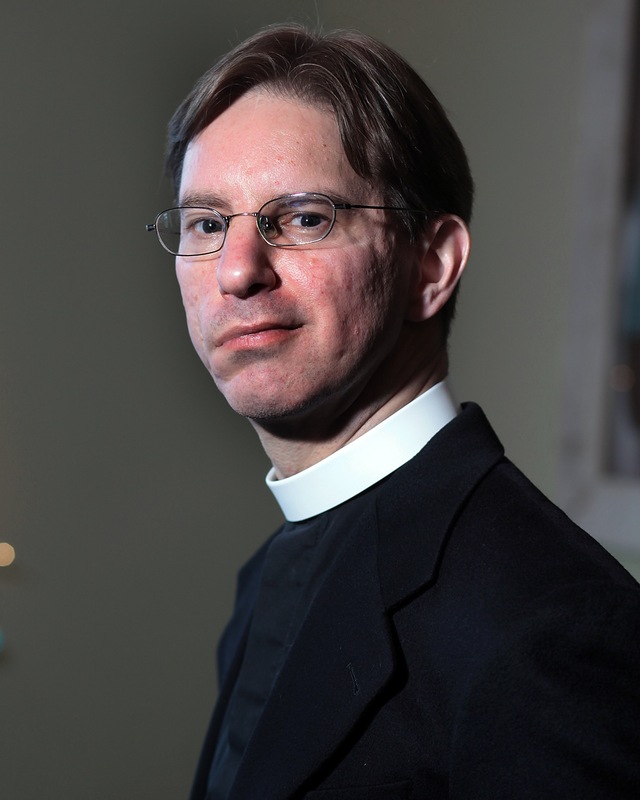 Ordained in 2000, I’ve also served parishes in Maryland and New York and am the creator of the wildly popular devotional Lent Madness. I’ve written two books What Size Are God’s Shoes: Kids, Chaos & the Spiritual Life (Morehouse 2008) and Dog in the Manger: Finding God in Christmas Chaos (Forward Movement 2013). I keep my sermons housed @FatherTim Sermon Vault. I live in the St. John’s Rectory with my wife Bryna, two teenage sons, Benedict and Zachary, Delilah, our yellow lab/husky mix, and for some unknown reason (to me) Mimi the ferret. When not tending to my parish, hanging out with my family, writing, running, building relationship on social media, or hacking away on my beloved 1986 Fender Stratocaster, I can usually be found drinking good coffee. Feel free to follow me on Twitter @FatherTim or friend me on Facebook. I had 14 minutes on your blog tonight – and delightful minutes they were! Thanks, Pam. Just remember, you’ll never get those 14 minutes back!! I enjoy what you have posted to your page. I FINALLY did the e-mail subscri[tion (you know how us Episcolians are) and am looking forward to notifications. One question though. I am the editor of out church newsletter (St. Alban’s Epistle, Bay City Michigan) and am curious about your usage rules. There are few things I would love to include in our newsletter. I will refrain until I hear though. Please let me know. Thanks, Mike. Feel free to have at anything you find on here — I’d just appreciate attribution and a link back to the blog (if it’s online). As the editor of a church newsletter, know that your reward will be in heaven. Thank you so much. More then glad to attribute it to you. I have put in the web address as well. We are working on bringing our congregation into the cyber age but as a group they are fighting it. Thought I would let you know that I was suffering a little bit of a mental block for my own peace in the newsletter. Reading some of your blogs got me thinking again and the fingers started to move once more. Again I thank you for the good reads and the inspirations you provide. I stumbled onto your site tonight and enjoyed your perspective and sense of humor. Did your father happen to have been a Baptist pastor? Your name rings a bell. Nope. He was a symphony orchestra conductor who died much too young at 52. Glad you found me! Do we have to wait til next year to nominate for future brackets, or can we begin prematurely? John, we have an “open enrollment” period during Eastertide when people can submit nominations for Lent Madness 2015. Thanks for asking. Here is another resource for Butler’s Lives of the Saint’s that provides different file formats for various eReaders and apps. Thank you for your gift of Lent Madness …. now I MUST get back to work….. Thanks! And would it be possible for you to reply via email?